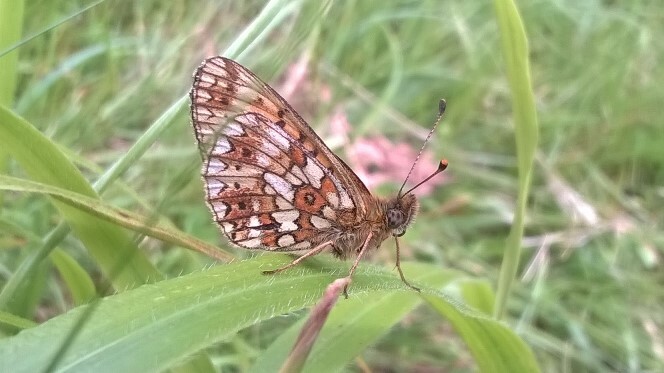 Luckily, we saw this Small Pearl Bordered Fritillary (Boloria selene) which we were especially looking for. The adults fly close to the ground, stopping frequently to take nectar from flowers such as bramble and thistles but, particularly, Marsh Violets. 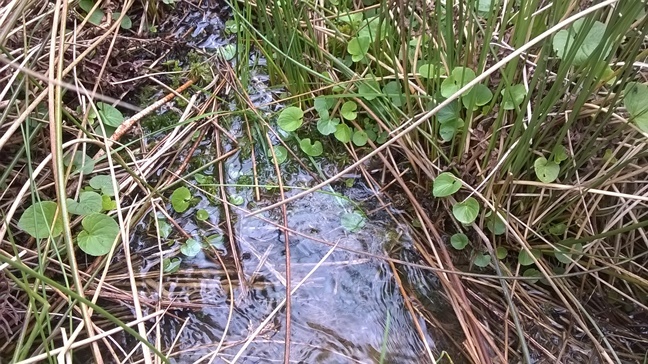 These are some of the Marsh Violets (Viola palustris) growing in the stream. Also known as Bog Violet, it is a low growing plant with creeping underground rhizome. It has blunt, kidney-shaped leaves and a small pale violet blue flower with darker veins and with a blunt pale lilac spur.